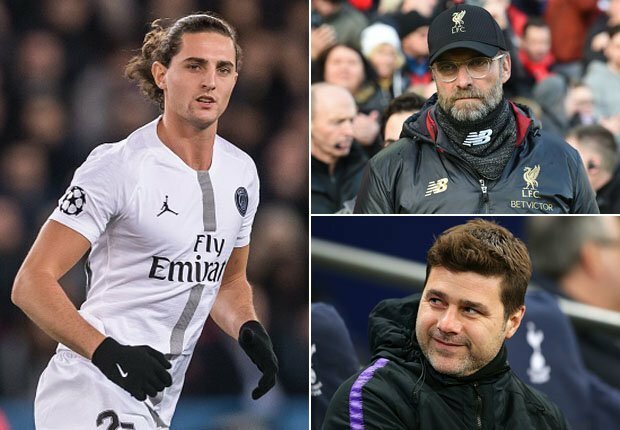 Manchester United have joined the likes of Arsenal, Liverpool and Barcelona in the race to sign Paris Saint-Germain midfielder Adrien Rabiot this summer, according to reports in Spain via the Mirror. United are known to be in the market for new defenders during the summer, while it has also been suggested that a new frontman could arrive at Old Trafford. Rabiot joined PSG in 2012 and has gone on to make over 220 first team appearances for the French giants but the midfielder is set to leave on a free transfer when his contract expires at the end of the season. The Daily Star is reporting that Spurs are keen to sign the 23-year-old Paris Saint-Germain midfielder this summer but are anxious that the could be beaten to his signature. The Premier League side want him to replace Fellaini, who left for China in January. Rabiot is thought to favour a move to Liverpool over Tottenham, and could be convinced to snub Spurs so he can work under Jurgen Klopp.